Madoff and Stanford's misdeeds are focus of BC Law bankruptcy conference. Believe it or not, Bernie Madoff’s phony monthly trading reports listed trades on days the market was closed, or at prices that were far off the market, or in volumes that simply never existed. 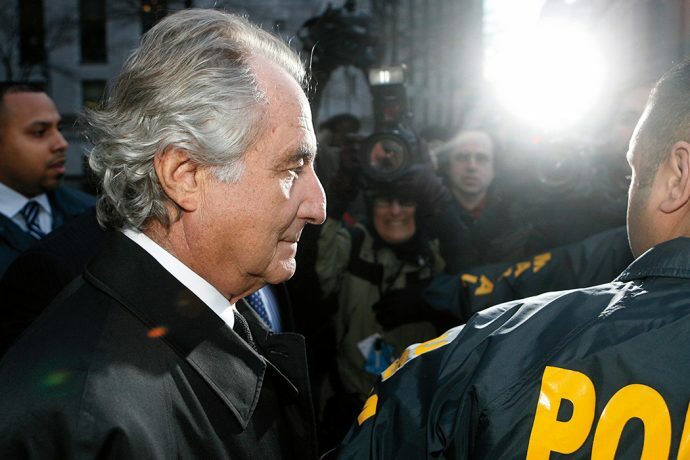 Yet Madoff’s scam continued for thirty-six years, from 1972 until 2008, as the Securities and Exchange Commission was incapable of discovering the truth, and Madoff’s clients never read their phoney monthly statements, since through bull and bear markets Madoff always turned in profits that were not real. And shocking as it may seem, the SEC knew that Robert Allen Stanford was a fraud early on in 1998, but chose not to prosecute as the securities he sold were short term notes of a foreign bank supposedly yielding 12 per-cent and were not shares of stock. Imagine the stupidity of that pusillanimous decision. What a bunch of wimps! Such were the most shocking revelations at a Boston College Law School Conference, “The Legacy of Mr. Ponzi: The Madoff and Stanford Cases,” that the American College of Bankruptcy organized in March, at which I was a speaker on the Madoff crimes. I emphasized the lackadaisical performance by the SEC as the key absurdity of allowing these crimes to damage so many naive investors who wanted to believe against all past investment history that Madoff’s year-in, year-out returns of 9 to 10 percent and Stanford’s offer of a 12 percent coupon on his bank’s notes could somehow be a rational expectation by small investors entrusting these two con men with most of their valuable savings. By comparison, Mr. Ponzi was put out of business in a very short time long before there was even an SEC. So much for the securities regulatory process where scams are concerned. It is a travesty of justice. It appears that the political connections of Bernie Madoff and the political contributions by Robert Allen Stanford may well have dulled or dented the investigations into their chicanery and kept the cops off the beat. Clearly, the SEC should have had the smarts and the will to put Madoff and Stanford out of business before they were able to do so much harm. The fact that the SEC was inadequate to the challenge should give legislators the motivation to order a review of the agency’s leadership, manpower, and its statutory powers. It appears that the political connections of Madoff and the political contributions by Stanford may well have dulled or dented the investigations into their chicanery and kept the cops off the beat. Especially, as in the case of Madoff, the recent conviction of five employees together with the conviction of Madoff’s brother and other high-level employees reveals clearly the conspiracy pretty well included between fifteen and twenty people. Stanford’s behavior involved an offshore bank in the Caribbean and so must not have been seen as so crucial to the SEC. Its ability to make securities criminal cases is far overshadowed by the Justice Department. After six years of progress, Irving H. Picard, the trustee for the liquidation of Bernard L. Madoff Investments Securities, has been able to pay the innocent Madoff investors back 56 percent of the money they lost. With any luck, in another 155 claims for $6 billion more payments, Picard is hopeful of returning 100 percent to those legitimate Madoff losers. “My goal is 100 percent,” he said before the crowd of more than 100 students and bankruptcy experts at BC Law. He has spent $980 million in legal and administrative fees to collect $9.8 billion so far. By comparison, the Stanford fundraising is only about $240 million, while the costs have been $120 million or 50 percent of receipts. Picard revealed for the first time that fabricated backdated trades for Madoff’s sons (one committed suicide) in Apple common shares that threw off paper profits of $6.5 million suggests that they “should have known” the enterprise was a scam. Robert Lenzner is National Editor of Forbes Magazine. This article was reprinted with permission of Forbes.com, where the story first appeared.